When seasonal rain hits the outback dunes, the colours come to life as do the desert shrubs that lay in wait in the gullies. Flying over the dunes, one can see the flow of water as it tracks between the dunes. 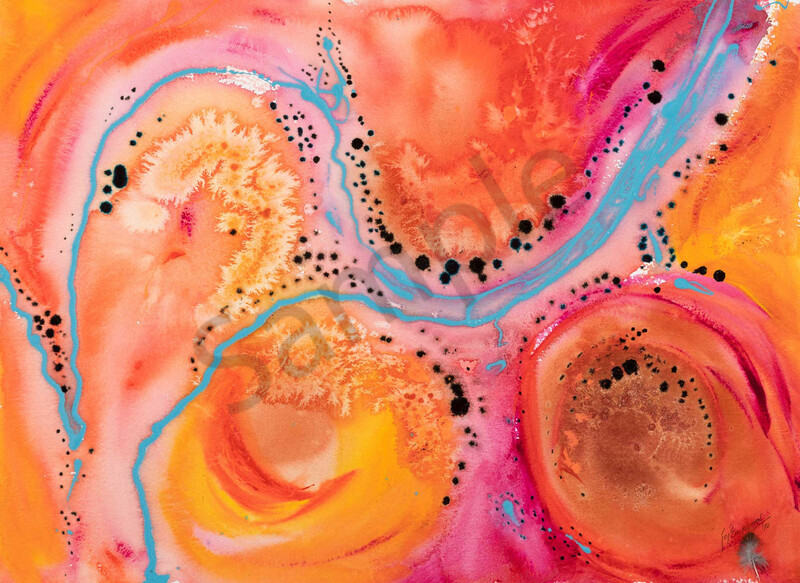 An abstract and bright image has resulted in this painting that contains the colours, shapes and energy of this desert's renewal.